So many options and so many valid concerns. If it is white stone that you are after, we believe we have found a great solution! 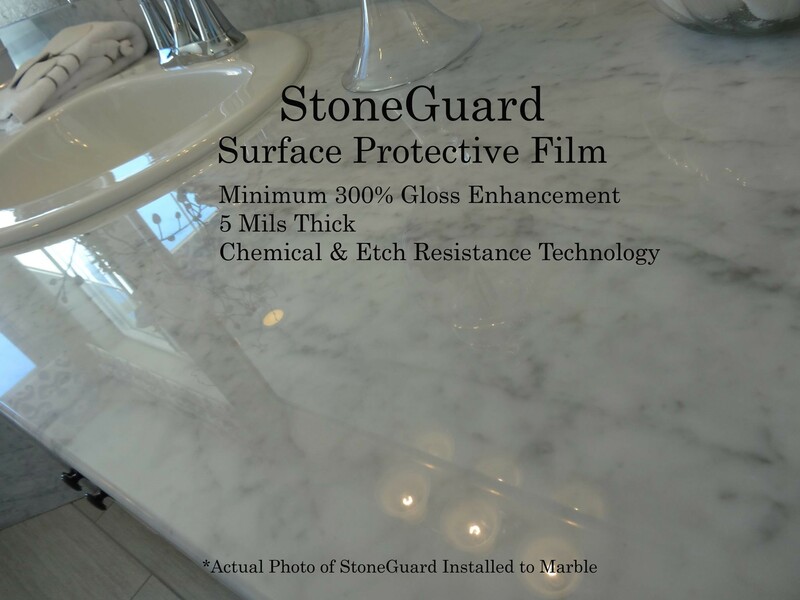 “Stone Guard” is a clear, polyethylene film with an acrylic adhesive basin that is heat-applied to the stone slab and protects the stone from acidic liquids that would otherwise stain and etch the stone. Developed for application on luxury cars to prevent chipping from stones and bugs, “Stone Guard” is now being successfully used in kitchens. Ketchup, mustard and red wine are no longer a concern for staining. Lemons, limes and tomatoes are no longer a concern. Life can be lived in the kitchen of your dreams! 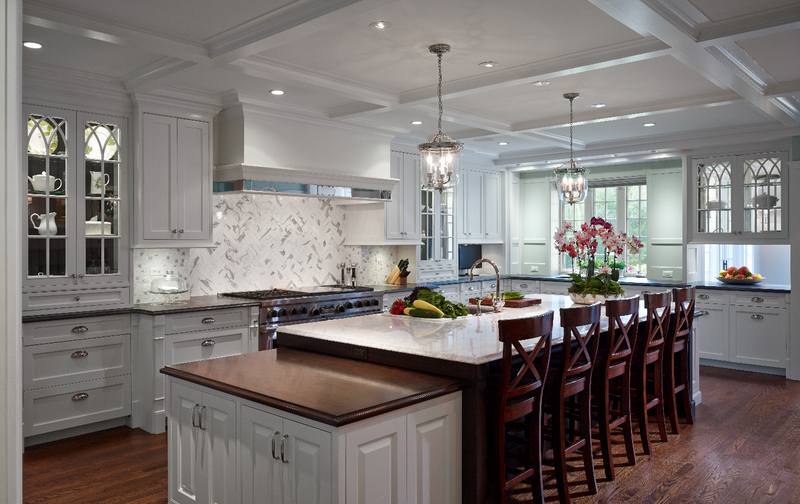 This chef’s kitchen boasts a beautiful slab of Statuary marble. With it’s stunning veining secured for years to come! 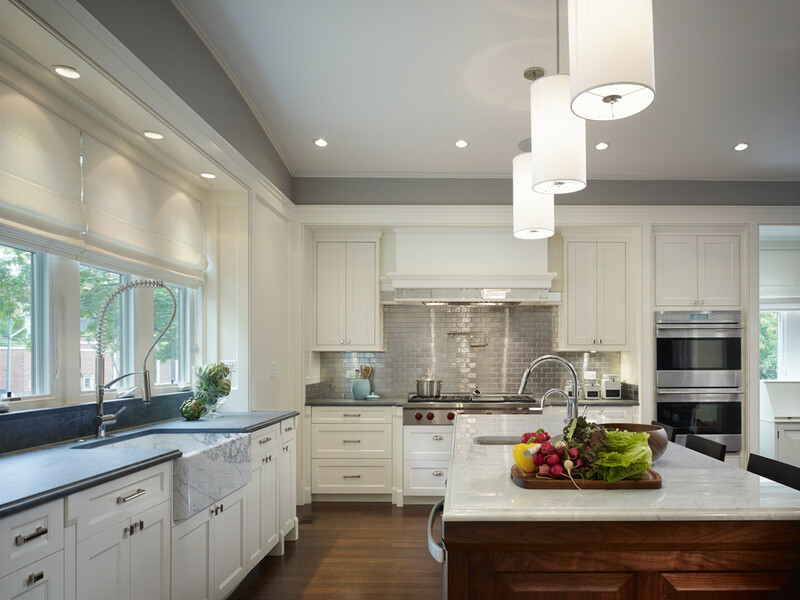 With the introduction of this product in the Chicago market, designers and consumers can be liberated when choosing their next countertop material. It is just what you need to feel confident the next time you are cooking dinner with red sauce, serving red wine or gathering the children for an art project! Natural stone is beautiful and there’s no reason it can’t stay that way!